Tag: nintendo | Something Odd! 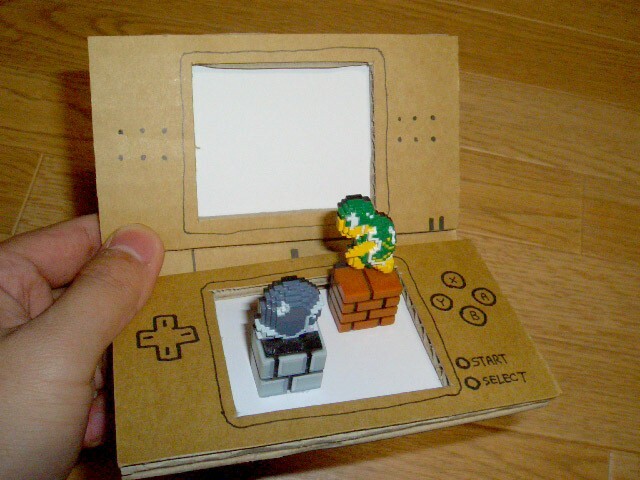 Nintendo 3DS, a 3D version of the Nintendo DS will be released sometime in the next year. Cool. Nintendo Co., Ltd.(Minami-ward of Kyoto-city, President Satoru Iwata) will launch “Nintendo 3DS”(temp) during the fiscal year ending March 2011, on which games can be enjoyed with 3D effects without the need for any special glasses.